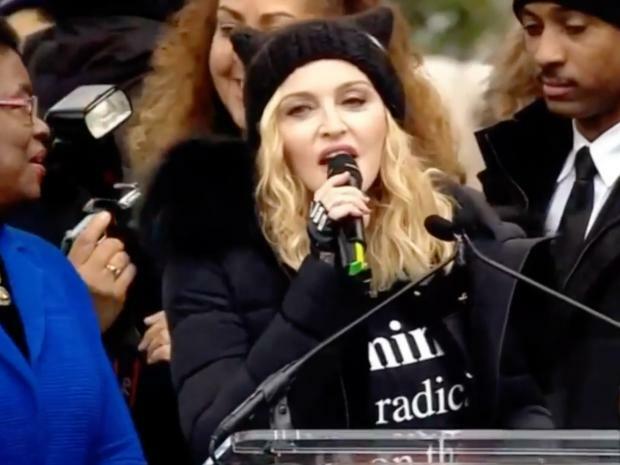 Speaking at the anti-Trump rally last night, singer Madonna said that she has 'thought about blowing up the White House'. Madonna Louise Ciccone is an American singer, songwriter, actress, and businesswoman. She achieved popularity by pushing the boundaries of lyrical content in mainstream popular music and imagery in her music videos, which became a fixture on MTV.